Dr. German Gonzalez joined the Georgia Department of Health as Medical Epidemiologist and Director of the Office of Epidemiology for the Fulton County Board of Health. Previously, Dr. Gonzalez was at the Florida Department of Health as the Health Executive Medical Director, Bureau of Epidemiology, Division of Disease Control and Health Protection and has direct oversee of the Infectious Disease Prevention and Investigations (IDP&I) Section operations. In this role, Dr. Gonzalez oversees the acute disease team, food and water disease program, vector borne and zoonotic program, healthcare associated infection program, the FL Epidemiology Intelligence Service Fellowship (FL EIS), and serves as senior medical epidemiologist as well. Previously, he was the Disease Response and Control Manager / Senior Epidemiologist for the Whatcom County Health Department in Bellingham, WA for three years, and the Infectious Diseases and Epidemiology Unit Director and Medical Epidemiologist for the North Central Health District for nine years. Dr. Gonzalez earned his medical degree from the National University of Colombia. In addition, he received a Master of Public Health with a concentration in Health Care Outcomes Management, from Rollins School of Public Health at Emory University. Dr. Gonzalez was directly involved with research and deployment of syndromic surveillance in its former district; Dr. Gonzalez has extensively reached the healthcare community within and outside the District. Moreover, in collaboration with the healthcare environment, Dr. Gonzalez has successfully joined teams with emergency responders, law enforcement, and civic groups promoting public health and providing a dependable source of support and information for these nontraditional community partners. Dr. Gonzalez has been actively involved in the infection control field; he worked with the Georgia Infection Prevention Network as Public Health Liaison for the board of directors, and served as consultant for ICPs across GA. 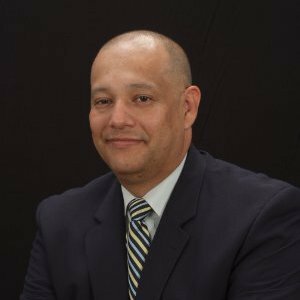 In addition, Dr. Gonzalez has promoted the advance of public health informatics at different levels, as public health practitioner and professor of health and public health informatics at Walden University and through his participation in several different groups and workgroups at national level. Dr. Gonzalez has served as Official member of the Public Health Information Network (PHIN) – InfoLinks CoP, official CoP Council (CoPC) member. NACCHO’s Public Health Informatics and Biosurveilance workgroups and BioSense Governance Group. Currently, Dr. Gonzalez participates in NACCHO Epidemiology and the BNAS Workgroups and recently he was advanced to the rank of Fellow at the American College of Epidemiology. Gonzalez, G. A., Murray, E., Soetebier, K., Buehler, J., Cookson, S. (2006). A Comparison Between Syndromic Surveillance 911/EMS and Emergency Department Data.